Welcome to the 12 Pearls of Christmas! Enjoy these Christmas "Pearls of Wisdom"! Please follow along through Christmas day as Melody Carlson, Lauraine Snelling, Rachel Hauck, Tricia Goyer, Maureen Lang, and more share their heartfelt stories of how God has touched their life during this most wonderful time of the year. AND BEST OF ALL ... there's also a giveaway!!!! Fill out the quick form at the link located at the bottom of this post to be entered to win a PEARL NECKLACE, BRACELET AND EARRINGS! You may enter once a day. The winner will be announced on New Year's Day at the Pearl Girls Blog! 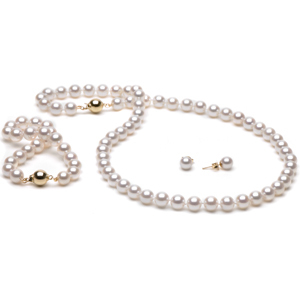 Pearls - a tangible reminder of God's grace to us all. Wear Joy by Rachel Hauck Thanksgiving day in central Florida broke warm and sunny under a blue sky. The thin fall breeze beckoned me. Taking my bike out, I rode the neighborhood feeling so grateful for all my blessings. Joy bubbled up in my spirit. I’d been feeling it for a day, these waves of joy, but as I rode my bike and talked to God, the waves strengthened and splashed my heart the entire ride. I’d laugh. Then tear up. And laugh again. As one who’s battled and won the war on anxiety and fear attacks, the onslaught of joy was welcomed, and actually sparked a new prayer in my heart. I’ve endured attacks of panic, time for attacks of joy. The journey of joy began earlier in the year while writing a book coincidentally named, “Dining with Joy.” Sitting at my table one day, revelation hit me. “The joy of the Lord is my strength.” Nehemiah 8:10. The more I meditated on it, the more I wanted His joy. I don’t want my strength. I want His. Not long after, I went to Nashville for a girl’s weekend. One of my friends handed me a coffee cup inscribed with “The joy of the Lord is my strength.” Ever just know? God is calling. During the holiday season, I turn 50. Yep, the big 5-0. Can’t stop it, I might as well embrace it. Fifty is often associated with jubilee, a time of restoration, and healing, even release from debt and slavery. It’s a time of returning to property, and inheritance. A time of rest. A time of JOY! This past week, a friend gifted me with a beautiful Christmas ornament. Inscribed on it? You guessed it. JOY! To me, the world doesn’t look very joyful. There are social and economic woas. But God is speaking and offering joy. As you go into this holiday season, ask God for a pearl of joy. Like pearls, crafted through abrasion, God’s true joy is often formed in us during difficult seasons. Here’s the thing, His strength isn’t doled out based on our goodness, our success or failure, or the fact the holiday season is hard or sad for you. He is ready, willing and able to overcome all your weaknesses, fears and anxiety, sadness with the power of His very own joy. His joy. Your strength. I’ve been walking into rooms, houses, outdoors, raising my arms and shouting, “Joy!” People look at me funny, but I want to spread the joy of the Lord. To spread the very essence of His strength. How about you? Can you find the pearl of joy in your life, in the essence of God’s heart toward you? Wear joy this season. About Rachel: RITA-finalist Rachel Hauck lives in Florida with her husband, Tony. She is the author of Dining with Joy; Sweet Caroline; Love Starts with Elle; and The Sweet By and By, co-authored with Sara Evans. For more information please visit www.rachelhauck.com. Oh, and be sure to enter Rachel's Dining With Joy NOOK eReader giveaway! Thanks for following our blog. I entered the contest you listed.